A relaxed community feel and better than usual food set Iron Springs apart from other brewpubs. : A relaxed community feel and better-than-usual food set Iron Springs apart from other brewpubs. Owner Michael Altman has been making beer for many years and his repertoire includes more than ten beers on tap. The eclectic menu offers a mix of pub standards such as a Black Angus burger, and Latin-infused specialties such as a chile relleno filled with black beans and feta. Standouts include fresh fish tacos---moist, white cod topped with chipotle sour cream---and house-roasted turkey with avocado and caramelized onions on a crunchy baguette. House-made fries are hot and crisp as are the onion strings, which smack of burnt caramel. Portions are generous and prices are reasonable, making Iron Springs a great place for families as well as bikers and hikers wanting a bite and a pint after playing hard all day. 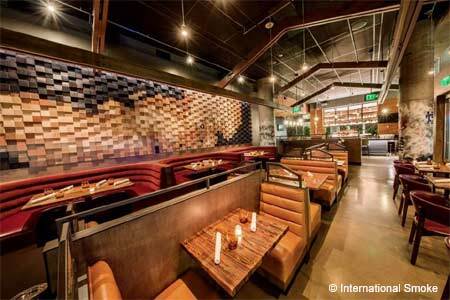 Another plus: Iron Springs is one of the greenest, most eco-friendly restaurants in Marin County.